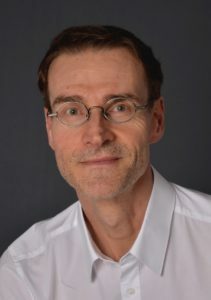 Dr Jurgen Giessing (email – giessing[at]uni-landau.de) is a professor of sports science at the University of Koblenz-Landau. After graduating from the University of Marburg with a teaching degree and a doctor’s degree in pedagogy in 1997, Jurgen worked as a sports therapist and P.E. teacher and continued his research about muscle hypertrophy training which lead to his doctoral dissertation in sports science at the University of Tübingen in 2002. Since 2007, Jurgen works at the University of Koblenz-Landau where he continues his research about muscle hypertrophy training and its health related effects. His book HIT, first published in 2006, became a best-seller in Germany. His new book High Intensity Training explains why staying in shape requires very little training time and that it is the quality rather than the quantity of training that makes the difference. I believe I had miscalculated my calorie intake (fat is dense!). In this podcast, I report that my calorie intake is typically <2,000 calories a day, but it was likely at least 2-300 calories more and closer to 2,500 per day. I recorded this podcast a long time before my episode with Dr Doug McGuff on “bulking”, where Doug further reinforced Jurgen’s point about the problems chasing a calorie surplus on a daily basis. I have since stopped calorie counting and currently eat a high protein diet to satiety each day (typically 2 large meals per day). Great poscast. I have read almost all books by Dr. Giessing. He and Mike Mentzer took me to HIT training. Another german speaking scientist who would certainly be interesting is Marco Toigo from ETH in Zürich. Will listen soon. Heard Mr. Giessing in 2015 Dresden and have his books. I agree with Tobias about Marco Toigo. Have his book too and heard him also in Dresden. Another one who says it as it is. One great point I took from this: there may be reasons to train more frequently that don’t involve hypertrophy or strength. Chasing the minimum effective dose based only on hypertrophy considerations may be thinking too narrowly. Approaching training with the primary focus being on maximal strength and hypertrophy really is a narrow view although most other benefits come along for the ride! I personally wonder though if adding in more frequent but lower intensity sessions could enhance the other positive adaptations and effects. Non HIT modalities have the potential to effect myokine release, BDNF, Co2 max and other CV adaptations, glycogen depletion, fat mobilisation, insulin sensitivity, reduce sarcopenia and plenty of others I can’t think of off of the top of my head. HIT is an amazing foundation but I personally believe that general physical activity is the key to improved comprehensive wellbeing, be that NEAT, LISS, HIIT or sports. Approaching any activity sensibly and safely is important, assessing the risk/reward ratio for both safety (acute/chronic injury risk) and the risk of “over training” which really is passing a threshold where the listed benefits above may begin to be undone. In addition enjoyment and time taken must be taken into account when summing up the cost/benefit of your chosen activity, for the general population this is probably their primary concern. Perfectly put. This is exactly how I think about exercise and sport choices. Indeed. I hadn’t thought too much about this except when Doug McGuff mentioned that the cardiovascular adaptation can start to decline with low frequency (<once a week). One thing that people also need to keep in mind is that more frequent training will also produce more wear & tear on the body . The key is to train just enough ( no more than twice within a seven to ten day period ) two allow adequate recovery and overcompensation to occur . Hypertrophy is the assumed primary interest in much of the HIT discussion. I keep listening for evidence based comment on the maximal strength and muscular endurance aspects of strength training. I realise that some argue there is no such thing and it’s suggested that an individual’s strength to size ratio is pretty much set by genetics. But I can’t help wondering if there is something to learn from studies like Effects of different volume-equated resistance training loading strategies on muscular adaptations in well-trained men by Schoenfeld et al? And, if there is something to learn, does Borge Fagerli’s effective rep concept offer a way to adapt these protocols towards the efficiency of a HIT protocol? Thanks Wez. Have you read Body By Science and the BBS Q&A, and familiar with the skill training side of things? It’s just that, to me, based on that abstract, it seems that the (ST) group had a much better 1RM simply because they practiced the skill closer than the other group (3RM vs 10RM) – assuming I’ve read the abstract correctly. I think you are going to significantly improve strength and endurance with HIT. I certainly feel like I have. Thanks Lawrence. I haven’t read the Q&A but I’m familiar with the difference between a practiced test and a naive test and concede that there is likely an unacknowledged element of test practice advantage in the article I referred to. But does the organism have only one adaptive response to intense demand (MMF) regardless of the force and time involved in the demand? There may be more finesse to our design than that. I remain curious. Lawrence, really interesting to hear about your recent reappraisal of your calorie intake. It’s sooo easy to get it wrong, I believe similar errors account for the vast majority of folk that “can’t lose weight on a calorie deficit” if you, an intelligent “health nerd” can make such a large error imagine how “Joe Highstreet” manages? Combine that with unrealistic ideas of energy requirements, unrealistic ideas energy expenditure from exercise and literally no idea of what to eat and it’s no wonder there is an obesity epidemic. Soo easy to get wrong. I was quite embarrassed to be honest. Personally, I think any kind of calorie counting for gaining muscle is a waste of time. Like Doug said here (https://highintensitybusiness.com/podcast/dr-doug-mcguff-dont-bulk-up-161/) if you’re eating a precise surplus everyday you’re likely to gain fat since calorie requirements change all the time, and thus perhaps it’s better to eat an organic surplus stimulated by the training. I think there MAY be utility in accommodating a calorie deficit for weight loss, and I understand why this might be important for Body Building levels of cutting, but I believe that if one eats the right foods, a lot of this stuff takes care of itself. One problem is that the “right foods” are less obvious to people. The big problem is that no one actually knows even their average maintenance calories. That combined with the body’s ability to autonomously restrain energy expenditure makes things really tricky. Additionally, a listing on “MyFitnessPal” or similar tracking app only gives you a food’s average calories/macros, very possibly not reflecting reality. I cook 90% of my meals from scratch, the error margin with fresh produce (especially meat) can be enormous. I have made considerable gains over the last 2.5 years on an almost entirely hypocaloric diet while dropping huge amounts of fat. The absolute biggest gains were when I started tracking protein to at least 1.6g/kg about a year ago. Great listen, and the collaborative efforts of Giessing, Steele and Fisher have brought valuable science to the HIT community. I think it is important to consider that many of the studies discussed on one vs. multiple sets, which also includes the Carpinelli review (great read, highly recommended), is that they look at *strength* and not necessarily hypertrophy (granted, some of them do). As Jeremy Loenneke and his group has shown, and also lately Dankel et al. working up to a 1RM provides one of the most effective ways to increase your 1RM (practice the test, principle of specific adaptation etc), but in a contralateral control condition only the volume arm with an additional 3 sets @ 70% of 1RM gained noticeable hypertrophy. So volume and TUT is needed to drive hypertrophy, and for some people – 60-90secs might be sufficient, but some may require more. Doing that final repetition to absolute, grinding failure, doesn’t really seem to be needed unless you are just doing 1 set – as the nervous system fatigue generated will prolong recovery. Thanks Børge – interesting point, and appreciate your comment. Hope your business is going well! Very interesting podcast ! One thing that i would definitely challenge is the notion that body parts necessarily require multiple exercises to work/develop them properly . With back as the example given when i started out training i performed two exercises , lat pulldowns & seated cable rows/bent barbell rows alternated occasionally . Later on i did perform three exercises for back but never more than that . I just find it odd/hilarious when i would see people and read bodybuilding routines in the muscle mags recommending 5-6 exercises and sometimes even more for back ! LOL ! For quite some time i’ve been utilizing only one exercise for my back which is negative supinated pull-ups , and they work my back thoroughly from top to bottom and totally fry my lats especially . I recall the first time i actually incorporated them some time ago and the searing contractions i had all over my back along with a crazy forearm & bicep pump ! My back never felt like this even when i performed 3 exercises . I don’t even think that isolating specific parts of the back is possible given the very close proximity of the musculature in the back and the interwoven nature of human musculature . As for the biceps & supination/pronation of the hand being specific functions of the bicep , it doesn’t seem to me that any one muscle is completely responsible for any specific function/movement given the reasons previously stated .